I’VE BEEN A NAUGHTY BLOGGER! Yes, it’s true. I forgot to do this last month. However I hope you can forgive me and I’ll endeavour to remember in the future! 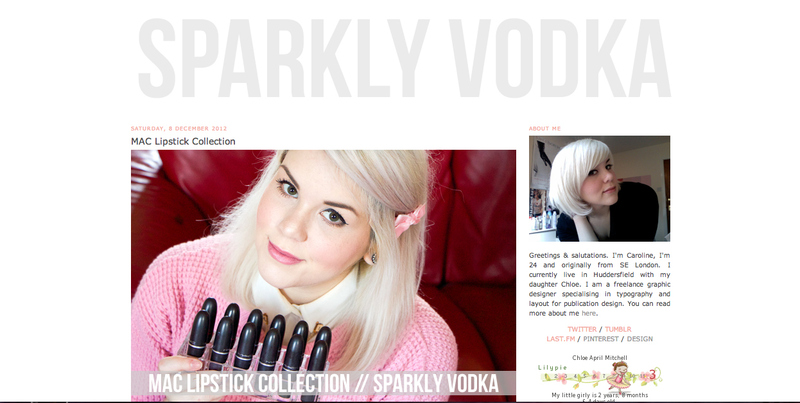 Now that that’s over… my second blog of the month is… Sparkly Vodka! 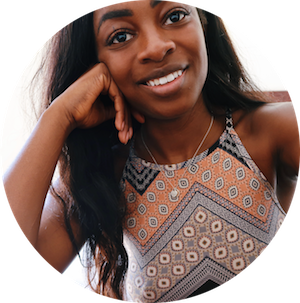 First off every time I visit Caroline’s blog I am struck by the layout which I am in love with! It’s so simple but includes two of my favourite colours (grey and pink) and is a dream to navigate! I think I love Caroline’s blog because everything is so well described and beautifully photographed against the backdrop of her lovely flowery bedcovers (at least I think they’re bed covers!) and also because of her outfit posts which display a mixture of girly and grungy clothes. Caroline seems really down to earth AND can you believe she’s a mummy too?! If you haven’t already please give Sparkly Vodka a little look and let me know what you think, I always like hearing from you guys and here’s the link if you’d like to check out last month’s Blog of the Month! Previous Post Mallzee – The Future of Online Shopping?